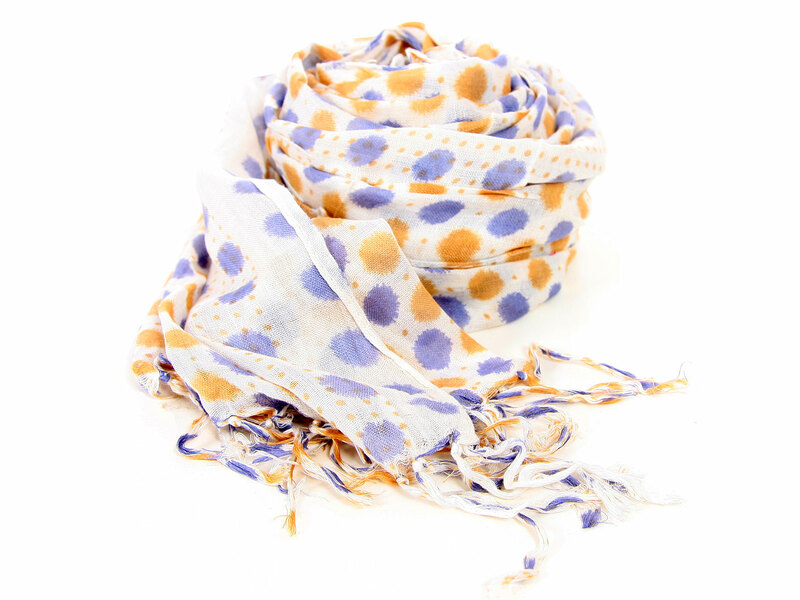 Long fringed scarf in 100% yarn dyed viscose material with bi-colored big polka dots and also small polka dots on the vertical edges of it. Hand wash. Imported.